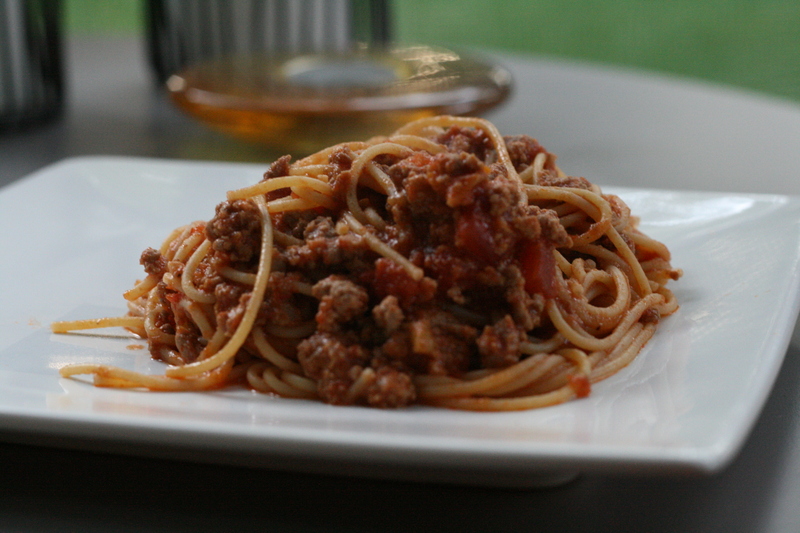 So we have Bolognese- tomato meat sauce, quite simply. But, oh no, this is not a simple sauce when tasted. LOOORRRD, is it something. Prior to my cooking experience of the last 18 years and counting, the magazine- Cooks Illustrated frightened and generally bored me. Now, I look forward to its arrival like a Zappos package of shoes being delivered. This did not happen overnight, more like a series of 6570 nights. I’m no math genius (no comment marumodern! )but I think that equates to about 18 years. Anyways, I digress…I turn to CI for many recipes because they make the claim of trying exhaustive techniques and trials to get to just the right recipe. I certainly don’t have time to make 134 versions of apple pie to get to the best one. Occassionally, I find their recipes to be a whole lot of work with eh-so-so end results. This, my friends, is not one of those recipes. It is simple. It’s eye-rolling delicious. It is, even better, freezable. Disclaimer- it does take a few hours but none of it is complicated or difficult to undertake. DOUBLE it and freeze a bunch. The new CI just came yesterday claiming to have an “ultimate” bolognese. This cook is going no where near a chicken liver as their new recipe does- sticking with this one. What makes this so good is all the layers of fat, sorry but it’s true (and worth it sometimes.) butter fat- meat fat- milk fat. Layers of flavor are key to most good to great recipes. 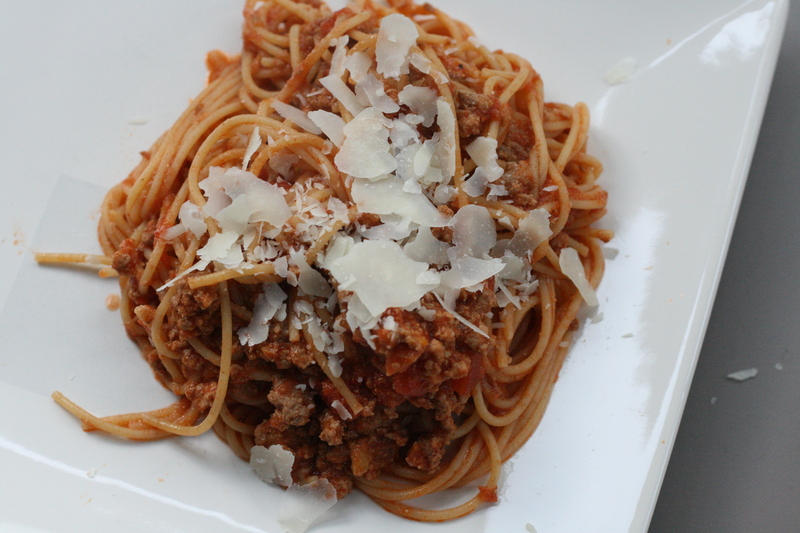 Tip: If you have a food processor, mince up the onion-carrot-celery all at the same time. You need 6-ish tablespoons. Heck, throw your whole cloves of garlic in their too. Add milk and bring to a simmer. Continue to simmer until milk evaporates and only the clear fat remains, about 10 to 15 minutes. If you double the recipe, simmer for 30 minutes. Add the wine and bring to simmer. Continue to simmer until wine evaporates, about 10 to 15 minutes. If you double the recipe, simmer for 30 minutes. Add tomatoes and their juices and bring to a simmer. Reduce heat to low. Sauce should be at a very low simmer, with an occasional bubble or two at surface. Simmer, stirring occasionally, until liquid has thickened- about three hours. Adjust seasonings with salt and pepper. Serve warm. Refrigerate for several days or freeze. Warm over low heat before serving. 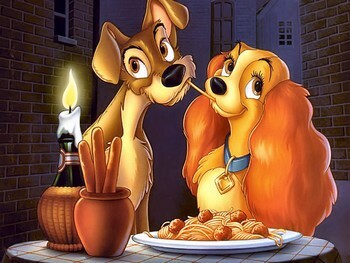 Necessary accessories: crusty bread for dipping, glass of red wine, someone you love to slurp pasta with ala Lady and The Tramp style. 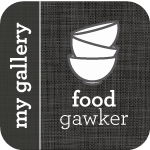 This entry was posted in Beef, Freezer Friendly, Pasta, Uncategorized and tagged bolognese, garlic, meat sauce, pasta sauce, simmer, spaghetti, spaghetti sauce, tomato sauce, tomatoes. Bookmark the permalink.